The Caldwell Journey...: You Should Have Seen The Other Guy! 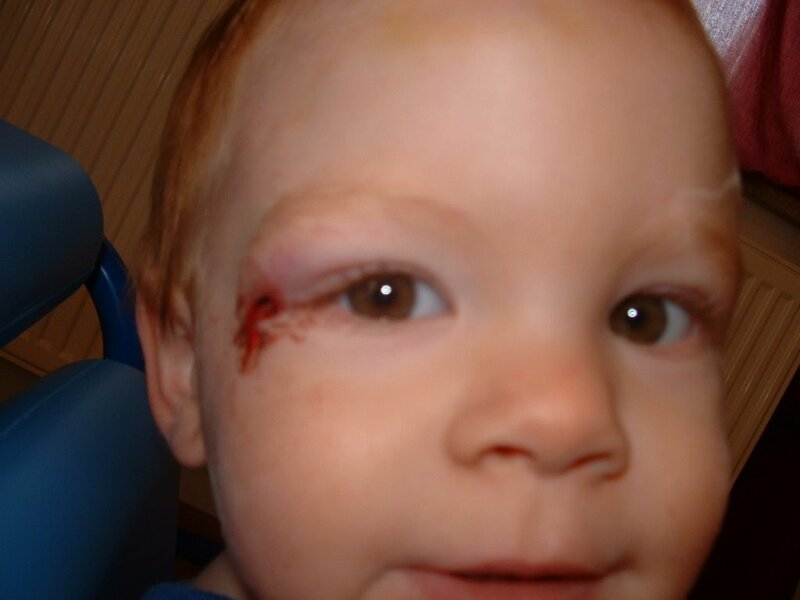 You Should Have Seen The Other Guy! Last night as we were returning home from being out, Nate had a little accident. It was already way past his bed time and he was pretty fussy. We were trying to guide him up the stairs from the garage and into the house. He really wasn't interested in going. After a little "encouragement" he finally began to go. As he toped the first flight of stairs and turned to start up the next one, he trip on a rug that we have in front of the back door. 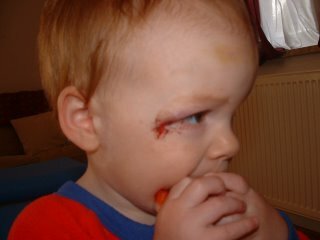 He crashed onto the bottom step of the second flight of stairs breaking the fall with his eye. If your keeping up this is the same eye that he cut open in September when he tripped and fell on the corner of the slide on the playground. Thankfully, we purchased a bottle of liquid band-aides after the first experience. Somehow I have a feeling that this will not be the last time we will have to use it. He goes full speed 24-7. He's tough though. It hasn't seemed to bother him at all today. Have a great day! ouch! 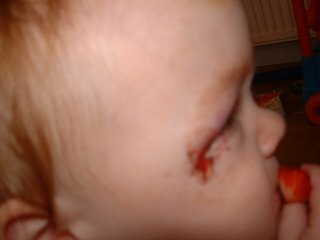 glad he didn't need stitches!